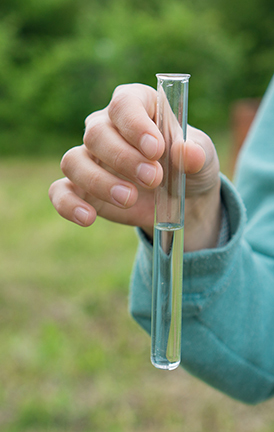 Water Testing & Water Treatment Solutions | Prairie State Water Solutions, Inc.
Water is an ever-changing resource, especially if your water is coming from a well. Since environmental conditions are always shifting, they will affect what is in your water, making once a year testing critical in order to fully understand its condition. At Prairie State Water Solutions, Inc., we can perform a number of home water tests, with some others being sent to our laboratory for further analysis. Regardless of what your water needs to be tested for, Prairie State Water Solutions, Inc. can help. We can also help interpret the results and provide you with proven technology to alleviate any concerns that may arise. Water testing services from Prairie State Water Solutions, Inc.
At Prairie State Water Solutions, Inc., we can test your water and then tailor a system that's perfect for your specific water problems. That is how we make water good for life. Contact us today to learn more!